One of our “Dajuma Experiences” particularly appreciated by our guests is a lunch in the pure Balinese tradition. We prepare this unique experience on the occasion of our farming and plantation tours. For the farming tour, the lunch takes place in the middle of the rice fields as shown on the picture, whereas, for the plantation one, the pique-nique is held in the mountain with a breathtaking view of the ocean. In both cases, the food is prepared and cooked by our local friends from the nearby villages. The various foods that are served are really like what the local people are serving at home for their family. 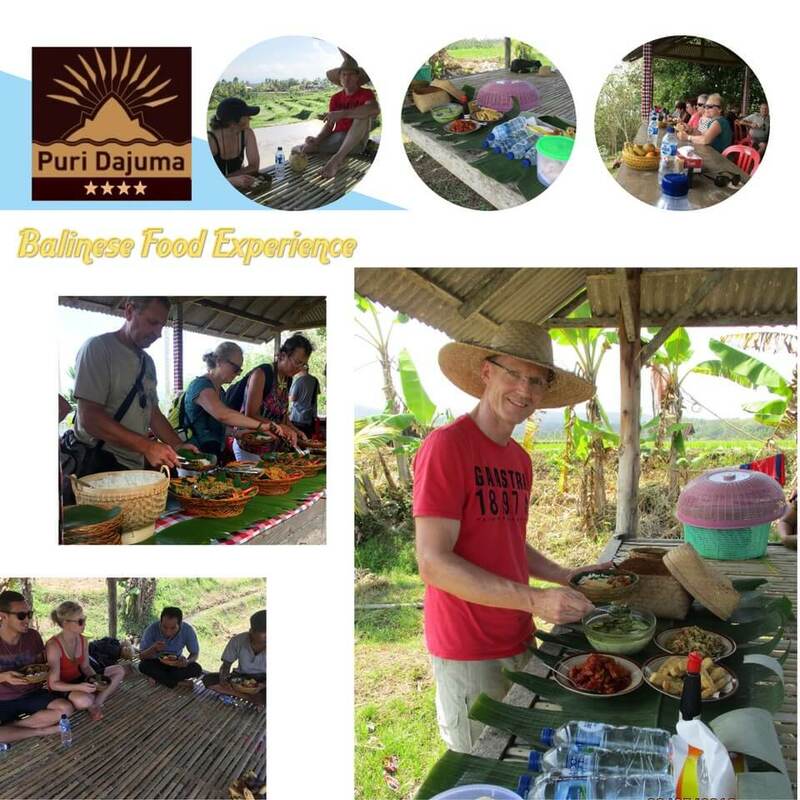 In the rice farming tour the dishes are presented in the “Kubu” (small gazebo) and guest really enjoy a delicious lunch with beautiful scenery and fresh air of the rice terraces. When do you plan to come over?